So I have been a little lax in with the sketching over the last few days. I managed to push myself out very late yesterday despite the heat as I know if I don’t keep it up I will soon let the days slip by and before I know its months. I really want to make this a habit and not slip into my usual routine which is to browse the internet all day! Notes:8/24/2015 time 2.47pm 97f feels like 100f 36c feels like 37c. 3.29 pm 36c feels like 37c 97f feels like 100f Slight breeze which is cooling. Started too small and too focus(ed) = unbalance. Banging in back ground – some kid on basket ball court, very distracting. I wasn’t particularly happy with this sketch and it might be because I am using a small sketch book. 8″ x 5¼” . I have thought of changing sketch books but this one will be one I will use until 12/31/2015. Also I started to the right again, so managed to miss most to the left part of the page unlike the sketch below where I used most of the page. Back to pencil today. I am going to start moving out of the Park into town of Pflugerville from today. Not very good with perspective! Need to practice. had a problem of smudging as my hand dragged across the page – need to learn to life hand off, difficult when you are standing and holding sketch book. Will come back to this again as its a challenge. So I think I have identified a key issue for me – interest, much as I like to see the green trees (I used one today to provide the necessary shade), I am not really that interested in drawing or painting them. So I am going to try for a more urban mix. The above building are situated on the edge of the original old town before suburbia arrived. They are remnants of the old railway that used to run through the town, thence the name of the main artery road in old town Pflugerville (Railway Ave). 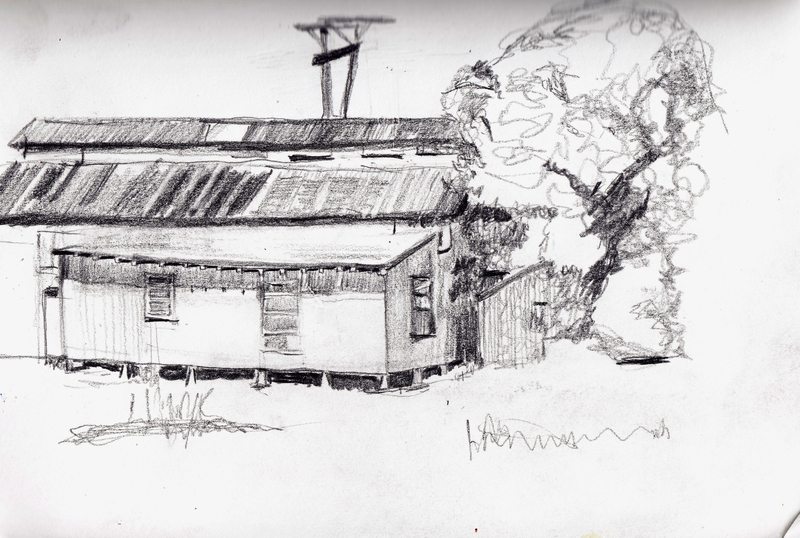 It really is a gold mine for some one who is sketching and I look forward to exploring it more. This was a view from the Heritage loop trail which is an extension of Pfluger Park. 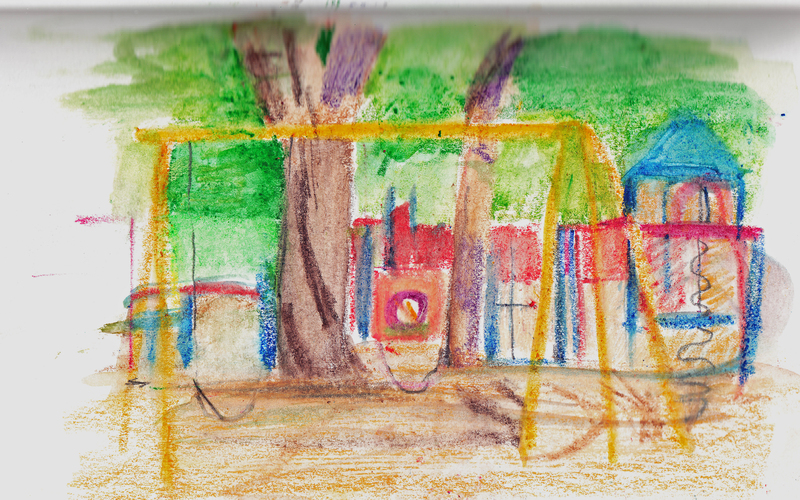 This entry was posted in Uncategorized and tagged Heritage loop trail pflugerville, pencil, pfluger park, sketchbook. Bookmark the permalink.